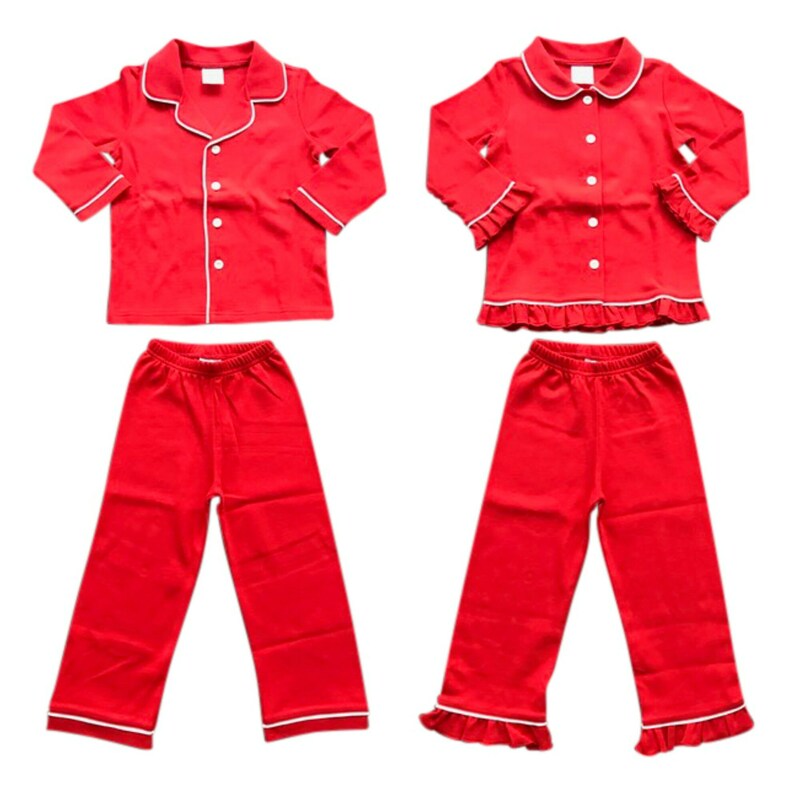 Christmas morning never looked so sweet in our Classic Loungwear! 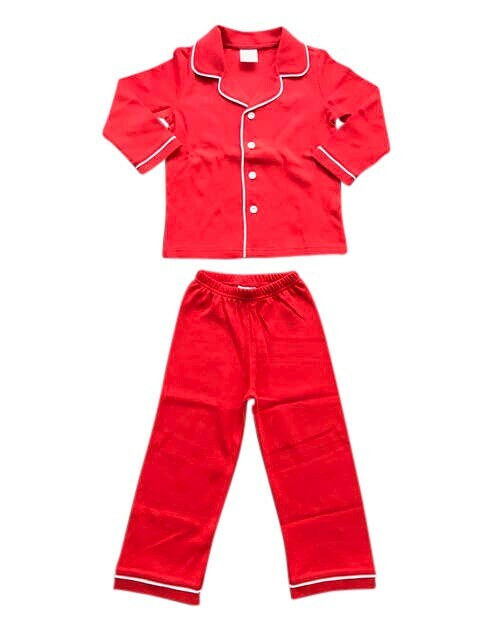 Our Classic Loungewear is perfect for opening presents on Christmas morning, Xmas pictures and much more! They are excellent quality and are made to fit with a little room. 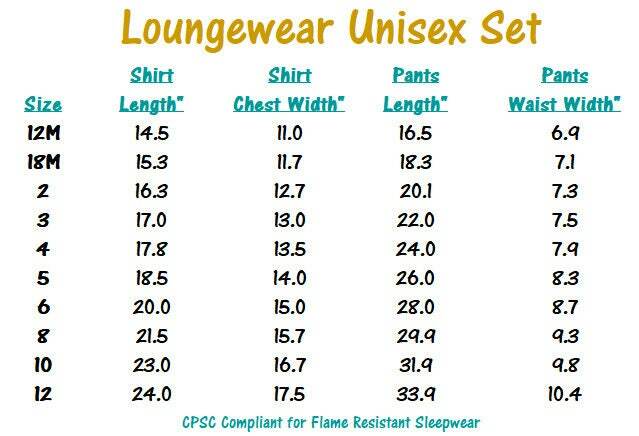 They are not intended to be worn as sleepwear. 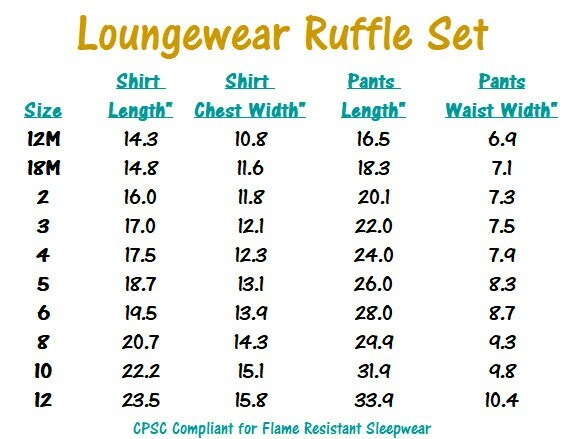 We find they run true to size to a little generous to size (in length). 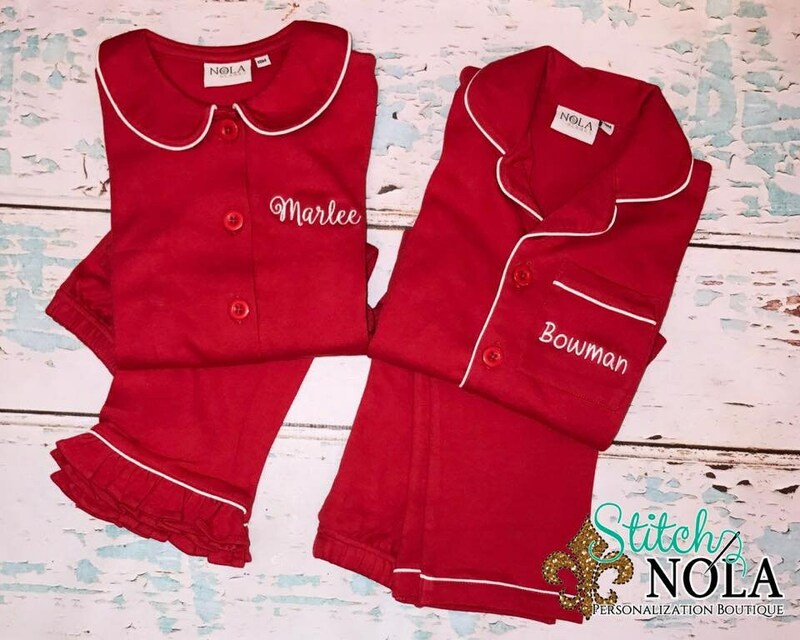 If personalization is selected, in comments to seller, please include thread color, font & child's 1st name or monogram (first, LAST, middle) at checkout. 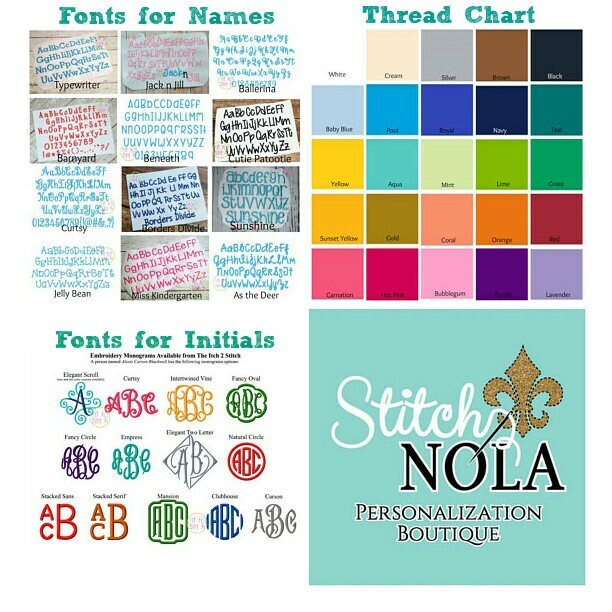 To avoid disappoint full name is required for all 3 letter monograms to ensure it is arranged in the correct monogram order. 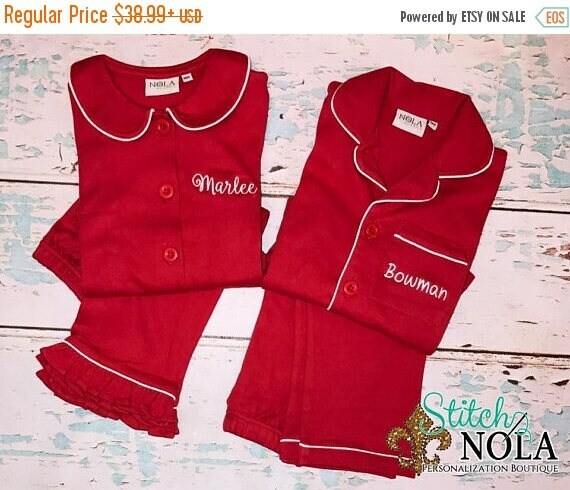 We are NOT RESPONSIBLE for incorrect monogram format if you fail to provide a full name. **If font and thread is not noted,it will be assumed you are leaving that up to the shops discretion. 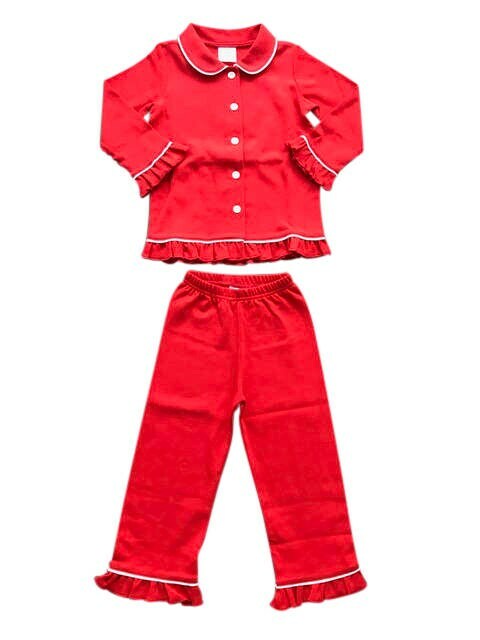 Perfect pj’s for Christmas pictures! Thanks so much! 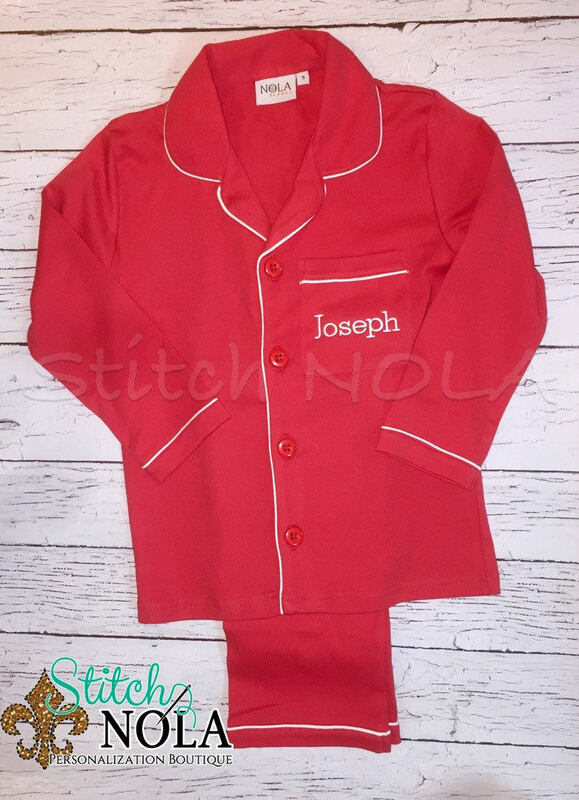 Jeanne was absolutely fantastic to work with and literally shipped the pajamas the very next day! We absolutely love them and will be ordering them for all the nieces and nephews for Christmas. Thank you so very much!